Based in Las Vegas (United States of America), Sage Oil LLC is a well-known name when it comes to semi refined paraffin wax. We refine it from the finest-quality raw wax with the help of latest technologies, which ensures top-grade output. 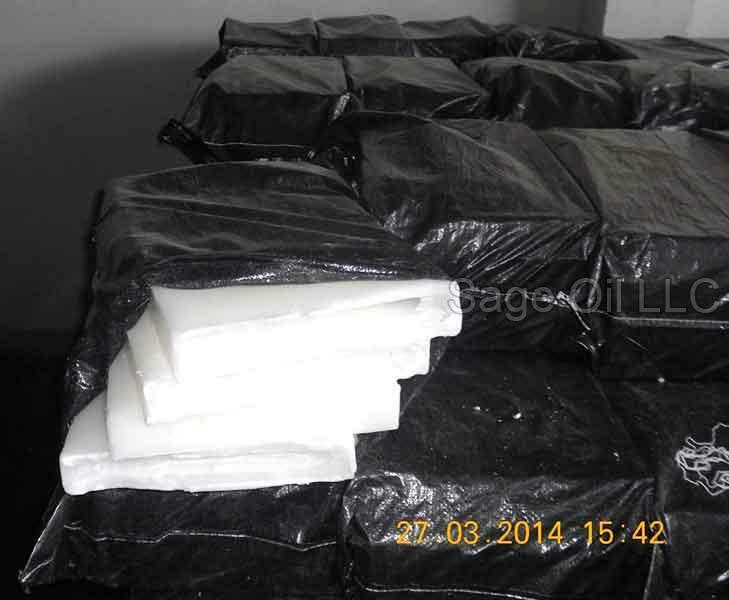 A wide range of industries demand our semi refined paraffin wax and all the credit for that goes to its quality. Our wax has low oil content, which makes it apt for producing candles, boards, crayons, and many more products. We deliver the wax in air tight packages in order to protect it from moisture. So, get in touch with us now.